The end of football season is looming and it feels like the Super Bowl is right around the corner. I am anxiously awaiting the Broncos playoff game this weekend and the only thing that alleviates my nerves right now is cooking. And eating. 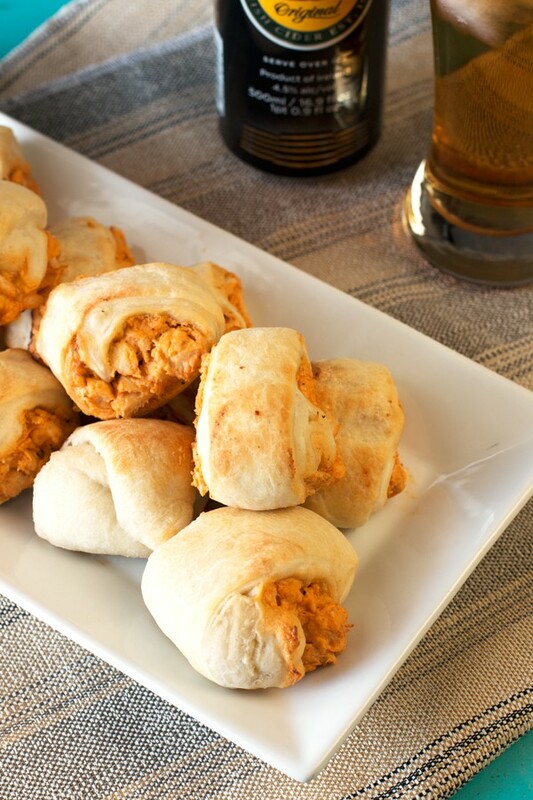 These buffalo chicken rolls are the ultimate football party snack – dare I say even better than spicy chicken wings (*gasp*)! 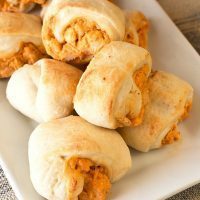 In one perfect two-bite roll you get the spicy, creamy, finger-lickin’ good flavor you expect from buffalo chicken wings without the inevitable mess. 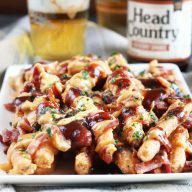 In my opinion, this is being the ultimate host – serving delicious game day food without creating an insane mess for you to clean up afterwards, amiright? Game day just isn’t the right time for red wine and roasted rack of lamb with sautéed string beans. 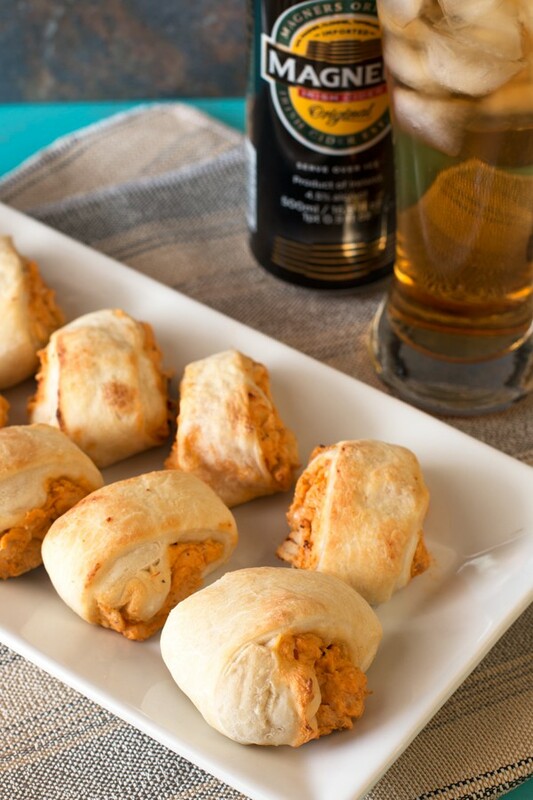 It’s time for beer, hard cider, and the game day food we all know and love, just slightly reinvented into something new and fun. 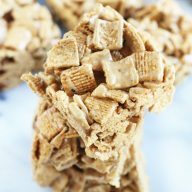 Trust me when I say everyone will gobble these up within the first 5 minutes of the game, so you might want to consider making a double batch if you’re serving a large crowd! 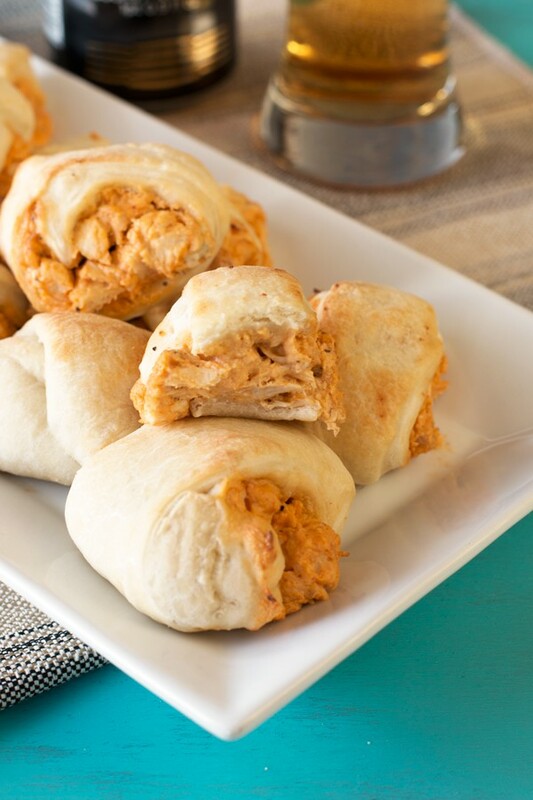 Puffy two-bite rolls filled with a spicy, creamy mixture of buffalo chicken, blue cheese and ranch. 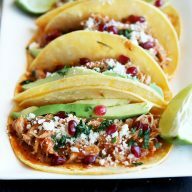 It's sure to become a game day favorite! 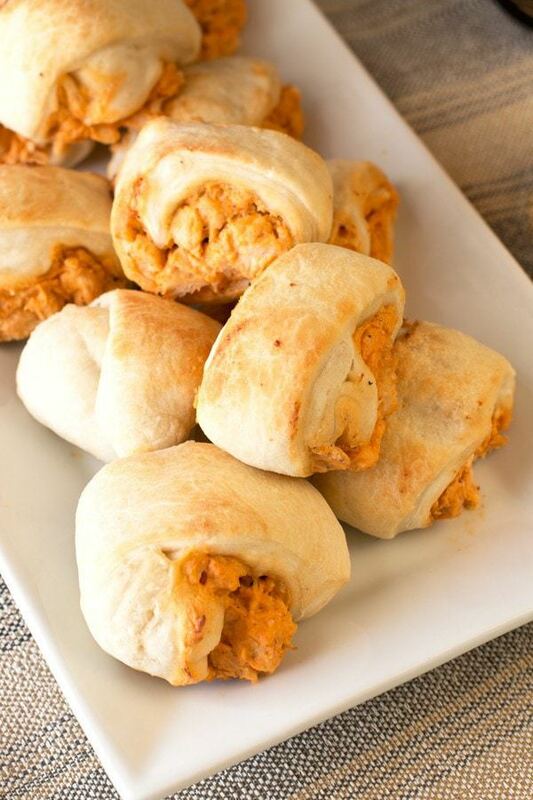 In a large bowl, mix together diced chicken, blue cheese, cream cheese, ranch dressing, hot sauce and spices. Stir until the ingredients are well-combined. Set aside. Divide pizza dough in half and roll out into two 15x10 inch rectangles, approximately 1/4” thick. Spread half of the chicken filling down the center of one rectangle of dough lengthwise. Roll one side lengthwise over the center and continue to roll until you have one long log. Cut the log into 11 pieces crosswise, approximately 1” thick. Place the pieces seam-side down on a greased baking sheet and repeat with the rest of the filling and remaining rectangle of dough. Brush the tops of dough with melted butter. Bake for 7 to 10 minutes, until the tops are golden brown. Serve immediately with hot sauce.